This infrared heater comes complete with thermostat thermostat wire mounting bracket and hardware everything you need to heat a shop or garage year-round. 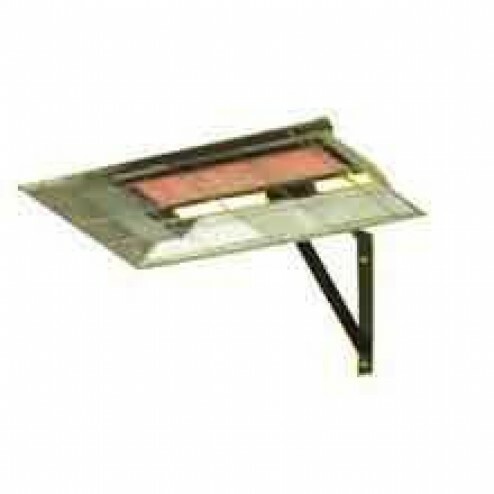 The Enerco HeatStar H25N Mounted Radiant Heater uses natural gas to produce clean, quiet heat instantly. Intended for garages, workshops, tool sheds, barns and other utility structures. Infrared heat directly warms bodies and objects which in turn help heat the surrounding space. Includes adjustable thermostat and wall louvre for fresh air intake. Pilot light ignition with automatic gas shut-off if flame is lost. Virtually maintenance-free because there are no moving parts.